Big Brother Naija 2018 finalist Alex has finally apologised to her fellow finalist and rival Cee-C. Continuing with her apology, Alex said she won’t play the blame game and point fingers on who’s wrong, but she knows they don’t have to lose the friendship they had. 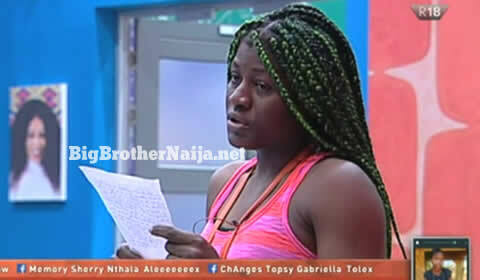 Alex humbled herself and added that leaving the House angry at any of the Housemates won’t do her any good. “It’s ok if you don’t want to talk to me anymore, its ok if you want to go with however you see me but for me, it won’t be a good thing leaving the House angry at you or anyone else,” Alex added. “I’m tired of trying to ask for acceptance and validation which I never get. I’m enough for myself and I have all the validation on this earth”, she concluded.